Item Number: 234-122 19834 Actual Weight: 0.7 lb. 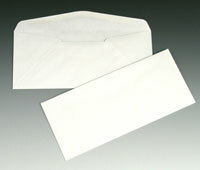 Ideal for mailing invoices, letters, and other documents. Moisten adhesive on flap to seal.